The RX84X8DIA is an incredibly powerful ring magnet. Useful for applications in which SUPER STRONG holding power is needed. 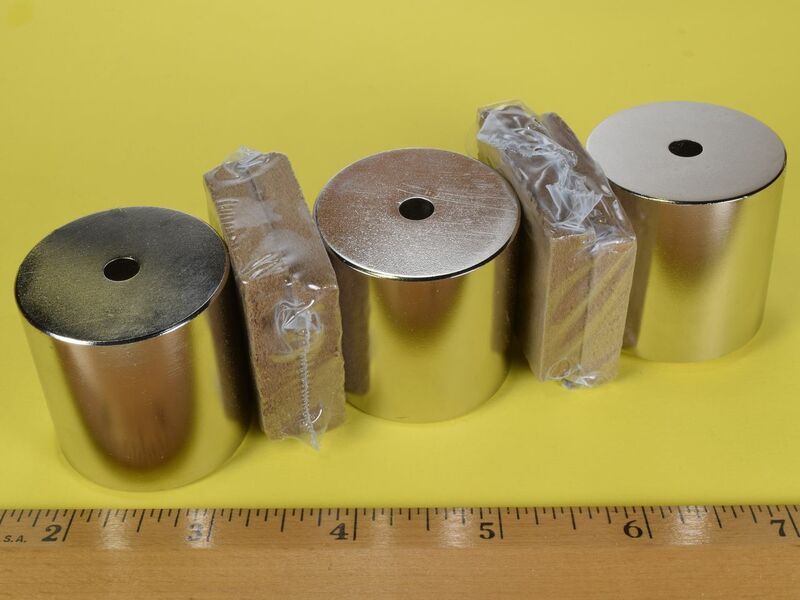 They should only be purchased by users familiar with the proper handling of very large neodymium magnets. The fact that these rings are diametrically magnetized makes them a bit trickier to handle, so plan your movements carefully. 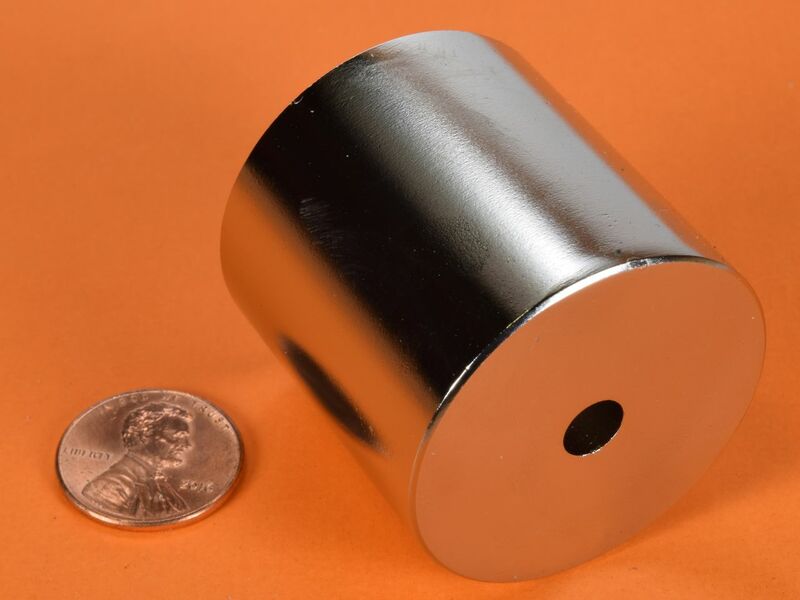 This size is also available axially magnetized as part number RX84X8.